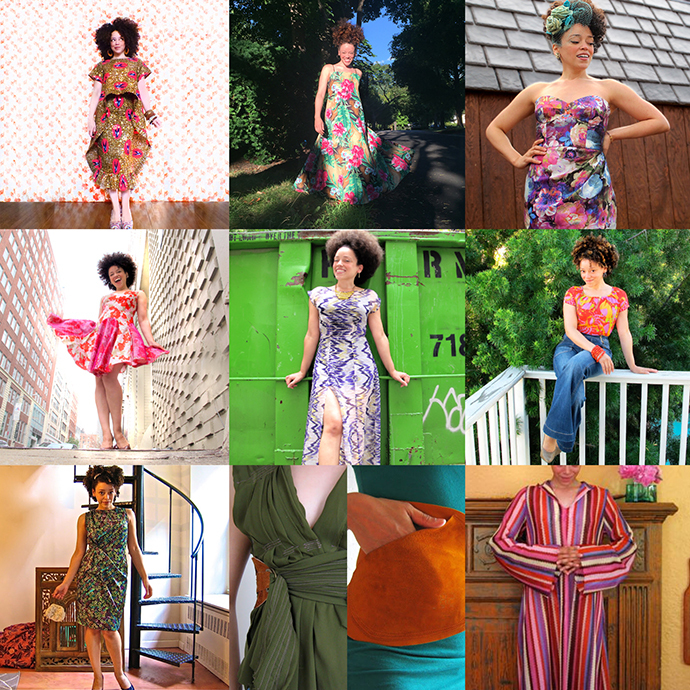 oonaballoona™ | by marcy harriell: Ten Years In Fabric: A Decade of Sewing! 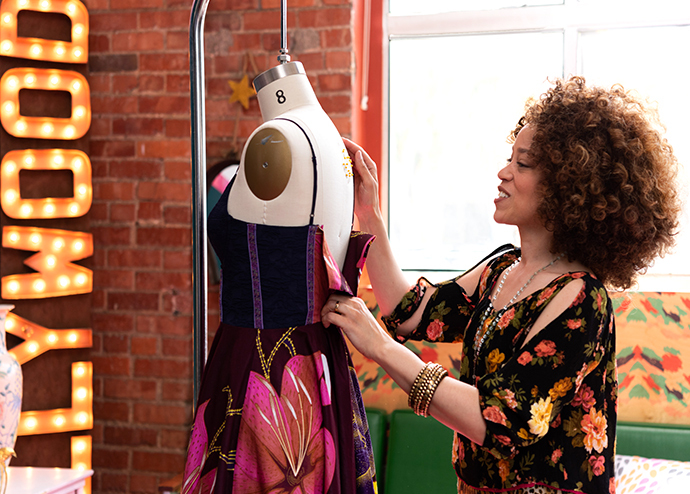 Ten Years In Fabric: A Decade of Sewing! Well HELL'S BELLS! (I've been listening to a lot of AC/DC). It's my ten year blogging anniversary today! TEN YEARS! A decade of oversaturated photos accompanied by occasionally coherent yammering, and I have nothing prepared for this moment! ONLY MY CAPS LOCK BUTTON, BOLDFACE, AND MULTIPLE EXCLAMATION POINTS!!!!! 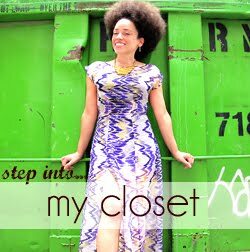 For now, I thought it would be fun to whizz through my virtual closet and pick a sewn item for each year I've blogged. Up above, you've got from top left corner: 2017, 2016, 2015, 2014, 2013, 2012, 2011, 2010, 2009, 2008. Everything in yonder collage still exists in my closet (save for the leather belt, which was for my Etsy adventures in 2009). 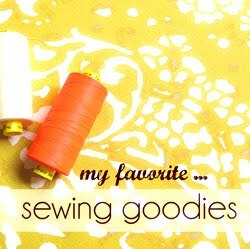 The nice thing is...it got harder to pick a favorite as I got further along in my sewing escapades! I think that means I know what I like now. And I like what I sew. As for 2018, I haven't made my favorite thing yet, but the wax print on my dress form is driving me happily bananas. Although I'd sewn with it before, 2017 was the year I fell fully in love with this wonderful stuff. In fact, 2017's pick was the hardest...so much Ankara! HEY. HEY!!! I know what I want to do for my celebratory gesture! Okay but I'm not telling you yet. I gotta figure some shizz out. Soon! Until then...thanks for hanging out with me, beautiful people. Here's to future cocktails, capers, and above all, color! I am drowning in playfulness and joy and inspiration! Why, oh why do I have to go to work and/or do laundry and dishes, not to mention sleep? I just want to go sew now!! Oh, thank you so much! Glad you found me :)). I LOVE to hear that I make people want to sew! 10 years! I love reading your blog and seeing all the awesome things you have made. You are inspiring to a lot of us. Happy ten ten & may you blog many many years. It's so cool that your parents read your blog what a wonderful way to keep in touch. I'm certain they are very proud of you & how your sewing has evolved - you've grown into such a beautiful & talented artist. I so wanna play in your closet Marcy! Happy 10 year Blogiversary! How is it that you don't look a day older? Congratulations! Your blog is one of my favorites! Thanks for spreading the JOY--and the REAL! I can't IMAGINE seeing that many (amazing) articles of clothing!! I'm a quilter, not a seamstress. Happy 10th Blogaversary!! Happy TEN ! Found you from Google home page and will be coming back! happy anniversary! i think i found you in 2010 and have loved seeing your very colourful makes! Absolutely gorgeous choice of design and colorful fabric. Big city girl, dumpster diva, boxed wine balcony babe! Have ALWAYS enjoyed your creations, your yammerin', and if you recall your "pristine pits". Keep on, and hip-check when you need to break through. Congratulations from Spain. Your parents are very lucky and we are very lucky too because we can enjoy your amazing job with fabric. Your creations are wonderful! !, Thanks for sharing them!! Wow, ten years! I’ve been following for many of them... at least six or seven. You’re always a bright spot in my reader! Here’s to another ten and beyond! Thank you Lisa-- I've been following you, too! Happy blog anniversary! All of the things you showed are gorgeous, and this latest dress is going to be stunning when it's finished. Also, that's adorable that your parents still read this! here's to many more decades of sewing, blogging and cocktails, sis! I was a little late to the Oona party -- but, I'm so glad I got on board. I blame the run on sentences. Congratulations! Your sewing journey and colourful dresses are fun to read about and see, for a solid-colour conservative-dressing pensioner like me. You are a breath of fresh air, keep blogging please! Happy anniversary, dear Oona!! Thank you for bringing so much colour and joy to the universe! And ditto to you , mizz rhinestones! Congratulations on making it to 10 years. Everything you make is so beautiful. Join the club on ankara - I'm a huge fan! And so much eye candy in your latest post! No other space on earth is quite like Kalakatroona. Congratulations! HAHA! That is definitely true! Yippie!!!! Congratulations. You are an amazing talent on planet earth! Hi Mexico!! So cool that we can all connect like this. Thank you Lizzy! Is it really 10 years? Have so enjoyed knowing you virtually Oona. Love the collage too - show how professional you have become over the years. Here's to many more! It's crazy, right?! I feel like we met on TSW yesterday, but also like it was twenty years ago. Ooooo! Thanks so much for the look back at 10 years of favorites. MY favs: Your 2014 birthday dress and the 2012 top! Ah, that dress is my Mom's favorite too! Gorgeous. All of your creations. Thank you so much for sharing. I am always looking forward to your choices and your words. The newest project I like the most. And the gold one. All the best wishes from another part of the earth. Thank you so much, Katrin, what a lovely compliment! 8! What do we call that? Pre-teen? Is there a whole age group we don't have a name for? Wow, congrats! So impressive. :) I'm only just starting now. Happy blogiversary! Your fearlessness is a huge inspiration. I still wear my Oonapalooza makes and embrace my inner Marcy. Thank you, that's so cool! What a crazy challenge that was.